I absolutely love taking a word and substituting an image for a letter, as I have done here for the word "HAPPY". 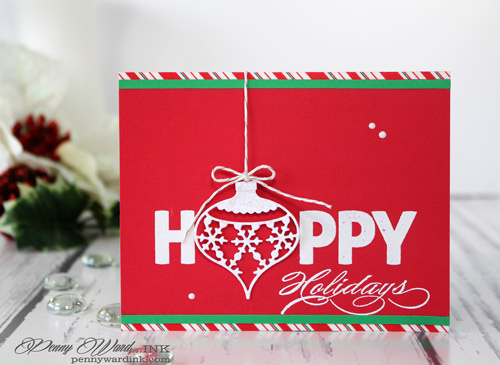 Using the MISTI stamping tool made this super easy to achieve along with the wonderful Fill in the Blank stamp set by Avery Elle. 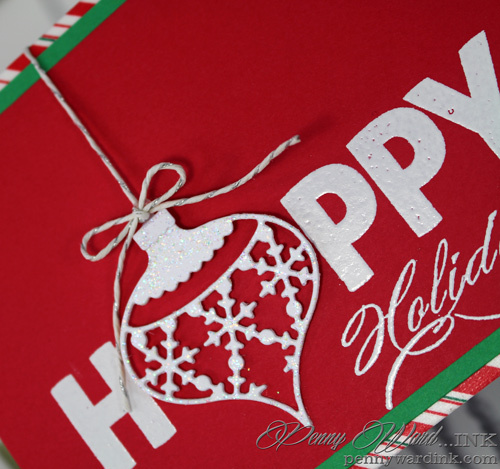 I lined up my card in the MISTI, stamped the "PPY" and heat embossed. Put card front back into MISTI, but slid it over just enough to accommodate the die cut or image, then stamp and heat emboss the "H". Ornament was die cut, then coated with Stardust Stickles. The word Holiday came from a stamp set by Penny Black. A little twine and washi tape for a fun festive card. Lastly, I added my all time favorite Wedding Dress Pico dots. Super duper sentiment as the focus card! What a fantastic card! I love how you incorporated the ornament into the sentiment! Love love love the graphic boldness of this design. Fabulous heating embossing, too! 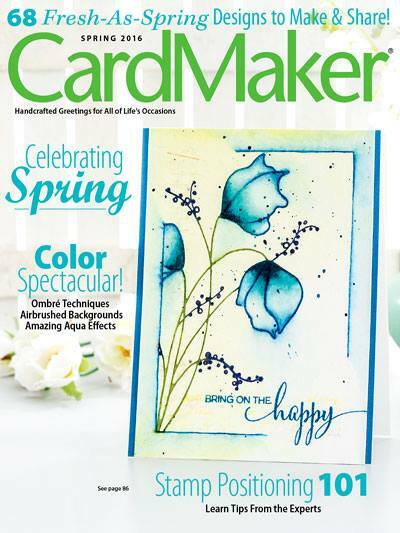 I love the way this card looks with the white lettering, so pretty! 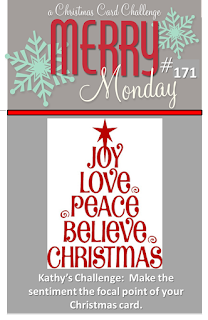 Thanks so much for joining us this week at Merry Monday! Fabulous Christmas card, great idea to replace the a with a bauble. This card is so fun, and festive, Penny! LOVE it! Thanks so much for joining us at the AEI❤︎U Challenge!